Another mainland China Anhui and Hunan recently added four cases of H9N2 flu confirmed cases, aged 1 to 15 years, 3 female 1 male, date of onset is between year 4 to 10 months, are mild, one case he joined the family name to the market to buy food, no live poultry remaining exposure history or exposure history is unknown. Since 2013 onwards the Chinese mainland and Hong Kong cumulative total of 6 cases of H9N2 flu cases, including Hunan 4 cases, Anhui 1 cases and Hong Kong 1 patients (Guangdong Province moved). Currently tourism against human bird flu epidemic proposal, mainland China, Zhejiang, Guangdong, Anhui and Hunan Provincial Tourism epidemic proposal as a warning ( Alert ), other provinces (excluding Hong Kong and Macao) as a note ( Watch ). Although not considered a huge threat, the avian H9N2 virus occupies a special spot in our bird flu coverage because - while of only low pathogenicity in poultry, and only rarely causing mild illness in humans - Its internal genes routinely make up the backbone of many of the HPAI viruses that pose the greatest risks to both poultry, and human health. 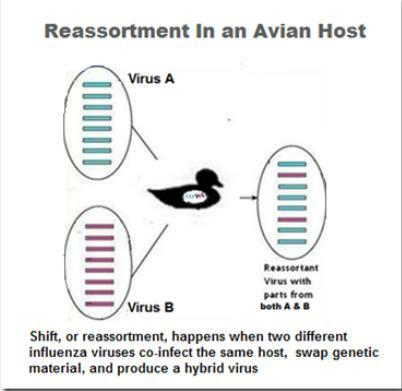 Ubiquitous in poultry across Asia and in the middle east, H9N2 has played an important role in the creation and evolution of H5N1, H5N6, H5N8, and H7N9 - and increasingly it is viewed as having some pandemic potential of its own. 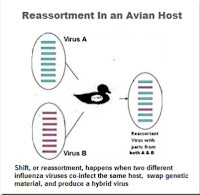 In the past, we’ve looked at this propensity of the H9N2 virus to reassort with other avian flu viruses (see PNAS: Reassortment Of H1N1 And H9N2 Avian viruses & PNAS: Reassortment Potential Of Avian H9N2) which have shown the H9N2 capable of producing `biologically fit’ and highly pathogenic reassortant viruses. But risks from H9N2 go beyond simply facilitating the creation of viable reassorted subtypes. The H9N2 virus can infect humans (and other mammals) on its own - and while it generally produces a mild illness - we’ve only a handful of cases to evaluate. In China 2 human cases of influenza A(H9N2) virus infection were detected in late 2014, from Sichuan and Guangdong provinces. In both cases the illness was mild. As with all influenza viruses, H9N2 is constantly changing, and we continue to see new variants emerge and take hold in different parts of the world. As far back as 2010 (see Study: The Continuing Evolution Of Avian H9N2) we looked at computer modeling (in silica) that warned the H9N2 virus has been slowly evolving towards becoming a `more humanized’ virus. Nearly two years ago, in PNAS: Evolution Of H9N2 And It’s Effect On The Genesis Of H7N9 we looked at research that showed a new, better adapted genotype (G57) of the H9N2 virus had emerged in China – one that evades the poultry vaccines currently in use – and that it has become widespread among vaccinated Chinese poultry since 2010. And just a couple of months ago, in EID Journal: Replication Of Avian H9N2 In Pet Birds, Chickens, and Mammals, Bangladesh, we looked at research that found the Bangladeshi version is a novel reassortant that has acquired some mammalian adaptations along the way, finding the virus replicates well in human and swine tissues. While hardly an avalanche, over the past two years we've started to see a noticeable uptick in H9N2 human reports coming out of both China and Egypt, although it is far from clear whether the actual rate of human infections has increased. Both regions are conducting increased flu surveillance and subtyping due to their ongoing battles with H5N1/H5N6 and H7N9, and they may simply picking up cases that would have previously been overlooked. Whether H9N2 ever poses a pandemic threat or not, it continues to aid and abet in the creation of new, often deadly, bird flu viruses. That alone makes it worthy of our attention, although any substantial increase in human infection would be of concern as well. Unfortunately, the two regions of the world where these human infections tend to occur (China & Egypt) are also among the most reluctant to publicize their existence.